Sousuke and Kaname are back in action! And this time, the battleground is the school ground! High-yield explosives and hilarity come together with a bang, as the somber soldier and his unwitting target brave everything from lovesick “terrorists” to an unforgiving teacher who is bent on revenge. But as good as he is with guns, Sousuke is one clueless commando when it comes to girls – especially Kaname! Don’t miss the hilarious antics of everyone’s favorite military maniac and Jin High’s most fiery female! Both of them never have seen an episode of either FMP or FUMOFFU. That tells me, that one can enjoy this spin-off without having seen the original FMP. Great review Tom! Glad to see you enjoyed the movie, I like it as well. The second one is slightly different, but there will be more of L, which appears to be good news to you. Have you heard/read that there is a spin-off film featuring L, called "L"? (Well, the title as a tagline attached to it.) It is about L and separate form the manga, bt I believe they mention the Death Note as well. Don't worry, I can't spoil it as I haven't seen it myself yet. It played in the cinemas in Taiwan but supposedly in Japanese with only Chinese subtitles (Death Note 1 & 2 had Chinese and English subtitles). I have accidentally watched a Japanese film with Chinese subtitles before and if the film is well done one can follow the basic story without the words, but I would never do so on purpose. Yes, I have heard of it. It is supposed to be some kind of prequel. Arnold Schwarzenegger stars in this action-packed adventure story of fighting men pitted against an unseen enemy, a force more powerful than their fiercest weapons. Recruited by the CIA to rescue hostages held by the guerrilla fighters in a Central American country, Schwarzenegger and his men encounter an enemy unimaginably more deadly than any on Earth - because the Predator is not of this Earth. Packed with spectacular effects and combat scenes of gut-wrenching power, PREDATOR is the most terrifying Schwarzenegger movie yet. The first time I have seen this movie (at least as far as I remember). Nothing special. Wouldn't have missed something if I wouldn't have watched it. The "You're bleeding" sequence is one of my favourites. Average movie. 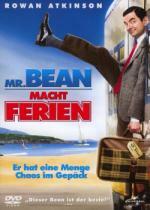 Nowhere the brilliance of the TV series, but it was nice to see Mr. Bean again. I liked the ending in Cannes (the movie presentation, not the "musical" number at the end. Just finished watching this set. "RTL Samstag Nacht" was the German incarnation of Saturday Night Live which was produced during the 90s. Like in its American counterpart, most sketches were more miss than hit, but the lasting effect this show had is still perceivable today. It made way for all the German comedy show that followed and a lot of the catchphrases from this show are still used today. It also made a lot of comedians household names. This set calls itself "Best of Season 1". But what it really is, is a season set which includes all 25 episodes from season 1 but which were cut from their musical guests and some comedy acts due to licencing reasons and some skits which are not shown in current reruns because of other problems (mainly with the church). Really? Cool. I've seen it lying around but thought "Best of"? Thanks but no, thanks. I loved RTL SN back in the 90s and now I will buy it for old times' sakes. But keep in my mind, that about 5-20 minutes are missing from each episode. On average the runtime is 32 minutes per episode. Director Christopher Guest reunites his star-packed team from 'A Mighty Wind', 'Best in Show' and 'Waiting for Guffman' for this hilarious, keen-edged comedy set in a town where "Oscar® is the backbone of an industry not known for having a backbone." In 'For Your Consideration', buzz of a potential Oscar® nomination sends the cast and crew of the low-budget indie film 'Home for Purim' into a wide-eyed frenzy. Catherine O'Hara, Harry Shearer and Parker Posey play 'Purim''s lead actors who ride the wave of buzz with odd and oddly touching results. Eugene Levy, Jennifer Coolidge, John Michael Higgins, Jane Lynch, Michael McKean, Bob Balaban and Fred Willard round out the cast of Hollywood types more than happy to exploit, bask in and leverage the Oscar® hype. A decent comedy in which you will see a lot of familiar faces improvising their way through the movie's plot. In style similar to Christopher Guest's previous work (This Is Spinal Tab, A Mighty Wind), only this time it is not a mockumentary. Harry Shearer does, as always in these movies, steal the show. And the second movie in a row in this thread, where Ricky Gervais had a small role. He was very fitting as the museum director.
. I think it was a good change as the storyline of what happened in the manga here would have filled another (and probably a boring) movie and even then they kept some of the stuff of the manga intact. I liked the way L dies better than in the manga. The manga death has been used as a ruse in this version. In the manga, L dies halfway through the storyline. Therefore a lot of material has been let out of the movies, but IMO the L storyline is the more interesting one anyway. After reading some reviews on the internet about the Death Note movies I noticed, that most reviews which were unfavorable were of people who first saw the anime before seeing this movie. But I do not think that you can compare those two. Whereas the anime tells the story of the manga almost line-by-line (I had the chance to see the first six episodes so far) that would have not worked for a live-action movie. In my opinion they have transferred the material to the screen in a very good way. And I think that they only got a chance to have so many episodes green-lighted to tell the manga in anime form because the movies were such a great success.